More about Shadow past in the next 3 pages. I feel sorry for him having trauma, but who ever his personal demon is, I sure hope he helps Silver to cope. Though that seems to be Sonics' role. Either way, he's a sweet guy who deserves a second chance. he look so cute!!!!! >< and what is SHIRUBA? Is he a slave to... Mephiles? Can you see future or I can't keep secrets? It just seemed plausible that's all. 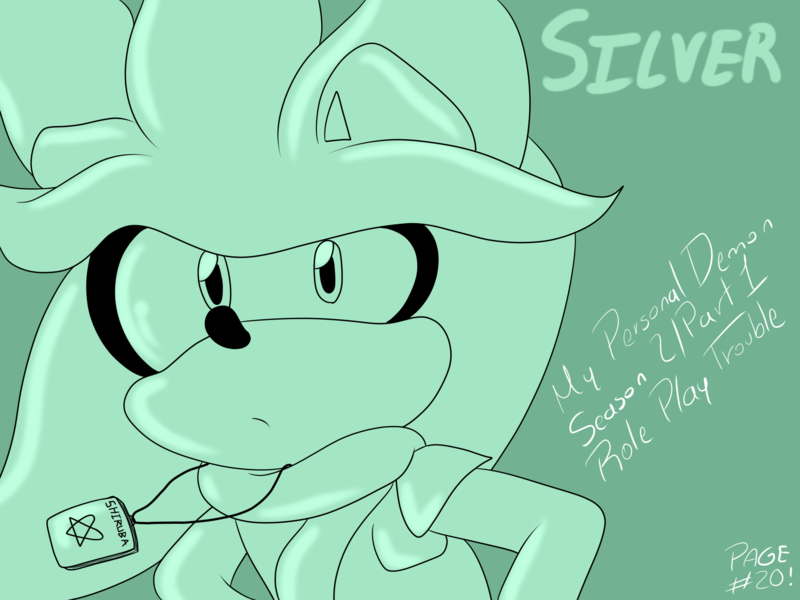 Poor Silver I hope he's not a slave to Mephiles COMPLETELY against his will. But I gotta admit, Silver being Mephiles 's slaves makes things even more interesting.